But the slowing of demand can’t simply be chalked up to statistical idiosyncrasies. Higher oil prices – Brent was up roughly 45 percent – have started to impact consumption. In the U.S., demand growth halved from the first to second quarter of this year. Putting it all together, we have a “cooling down” period in which the urgency over supply disruptions and the pressure from soaring demand have both calmed a bit. On the bearish side, the escalating trade war could “lead to slower economic growth, and in turn lower oil demand.” For now though, the IEA says demand will return to stronger levels in 2019, and the agency even revised up its forecast for demand growth for next year to 1.5 mb/d, up from 1.4 mb/d in a previous report. But the trade war could undercut that scenario. Still, the “cool down” period might only be short lived, the IEA warned, and as summer draws to a close, things could get much hotter in the oil market. The main reason for the trouble ahead is the potential loss of Iranian supply due to U.S. sanctions. “The risks to stable supply that will grow later this year could cause higher prices,” the IEA said. “When we publish our next report in mid-September, we will be only six weeks away from the US’s deadline for Iran’s customers to cease oil purchases,” the IEA cautioned. Estimates of the potential supply disruptions in Iran have been all over the map, but they have narrowed more recently, with the extreme scenarios (almost no impact from sanctions on Iran’s exports on the one hand; oil exports heading to zero on the other) mostly discarded in favor of some sort of middle-of-the-road scenario. More specifically, analysts are converging on a range of between 700,000 bpd to 1 mb/d of disrupted Iranian supply, give or take. In fact, those figures come the U.S. government itself, as Bloomberg reports, despite assurances from the Trump administration that Iran’s exports are going down as close to zero as possible. With U.S. shale slowing down, demand grinding higher, and outages looming from Venezuela and Iran, the pressure on the oil market could grow towards the end of this year. Hardly anybody believes any utterances or projections by the International Energy Agency (IEA) about the global oil market. The IEA has lost all credibility and objectivity by its hyping on US shale oil potential. Therefore, its views on a cooling down in the global oil market and the impact of US sanctions on Iran’s oil exports will be treated with the same contempt. Nothing has changed in the fundamentals of the global oil economy. They are still positive enough to support an oil price above $80 a barrel and they will certainly surge above $80 a barrel before the end of this year. The fact that oil prices have been hovering around $72-$75 a barrel for more than a month is because the global oil market has not re-balanced completely yet. There is still a small amount of glut capable of taking care of outages in Venezuela, Libya and elsewhere. This small glut may have been augmented recently by both Saudi Arabia and Russia adding some 300,000-400,000 barrels a day (b/d) between them. Another factor is that oil prices don’t like uncertainty. The risk of a full-blown trade war between China and the US has cast dark clouds over global trade and created some uncertainty. The IEA will be proven wrong like the many experts and analysts who have been projecting a loss of between 500,000 b/d to 1 million barrels a day (mbd) of Iran’s oil exports as a result of the sanctions. My reasoning is based on the four market realities. 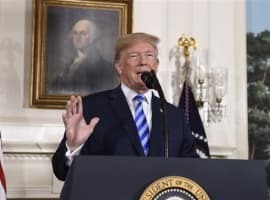 The first is that the overwhelming majority of nations of the world including US allies and major buyers of Iranian crude are against the principle of sanctions on Iran as unfair and will not therefore comply with them and will continue to buy Iranian crude whether in violation of the sanctions or by a US waiver as would be the case with Japan, South Korea and Taiwan. A third reality is that China which is being subjected to intrusive US tariffs and Russia which has been battling US sanctions since 2014 will ensure the failure of US sanctions against Iran as a sort of retaliation against US tariffs and sanctions against them. The US would be making a huge mistake were it to underestimate the power of the Russian-Chinese strategic partnership which has led to the successful launching of China’s crude oil future contract (the petro-yuan). A fourth reality is that 95% of Iran’s oil exports go to countries who declared that they will not comply by US sanctions, namely China (35%), India (33%), the European Union (20%) and Turkey (7%). The remaining 5% of Iran’s oil exports go to South Korea and Japan who have already said they will apply for a US waiver and most probably they will get. 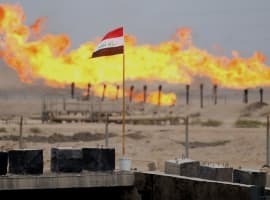 The US Administration’s claim that it will be able to persuade Iran’s oil customers to cut their crude imports from Tehran by as much as 1 mbd is more of self-delusion and wishful thinking coming from an administration that has antagonized virtually everybody including its own close allies. 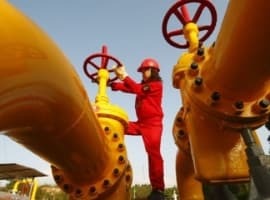 China’s insatiable thirst for oil will continue unabated well into the future underpinned by a very healthy economic growth for a mature economy projected at 6.7% this year and declining domestic oil production.